If you are developer, then you work with relational databases as well. And if you work in a Windows world, most likely your system of choice is Microsoft SQL Server. With every new DBMS release we find something that changes the way we solve common problems in new solutions. 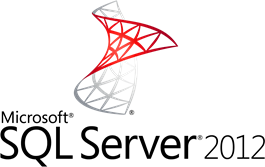 SQL Server 2012 is no exception. In SQL Server 2012, instead of just enhancing the productivity and robustness of the server, Microsoft solved a number of architectural problems we previously had to deal with in our applications when working with SQL Server. Problems like saving files in databases, load balancing database clusters and simple restoration of data, finally got the minimum viable solution, which should only improve with time.